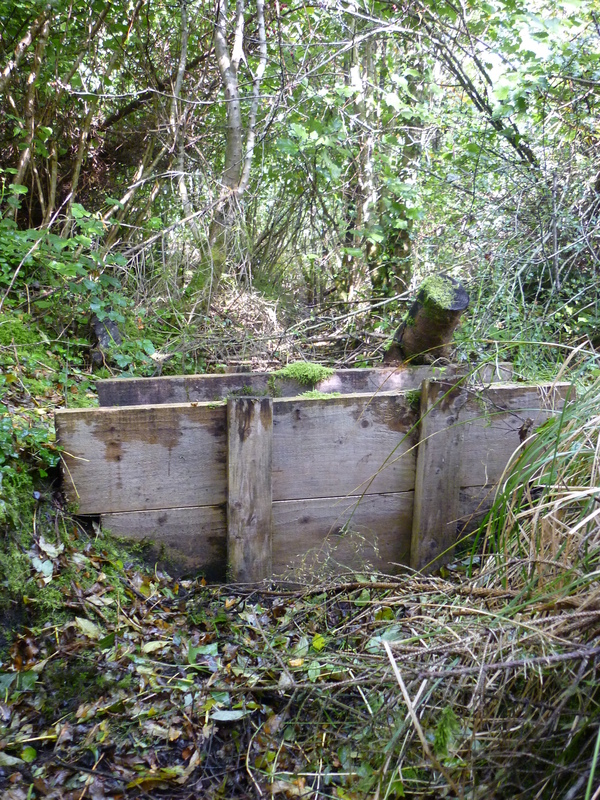 An interesting review paper is in press at the journal Ecological Engineering, entitled “Ecological consequences and restoration potential of abandoned wet grassland” (http://dx.doi.org/10.1016/j.ecoleng.2013.05.008). The paper reviews the effects of agricultural abandonment on wet grasslands and assesses the potential for restoring species-rich wet grassland after abandonment. Seventy-one (71) papers on wet grassland abandonment and restoration in continental Europe were reviewed. No Irish (or British) research was reviewed because there apparently haven’t been any relevant studies done here. So what, if anything, can we learn from the situation on the continent and how can it be applied here in Ireland? 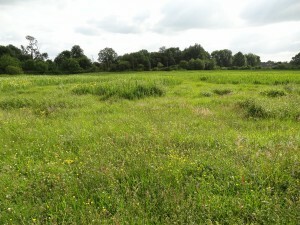 In Europe, abandonment of wet grasslands is a significant concern. 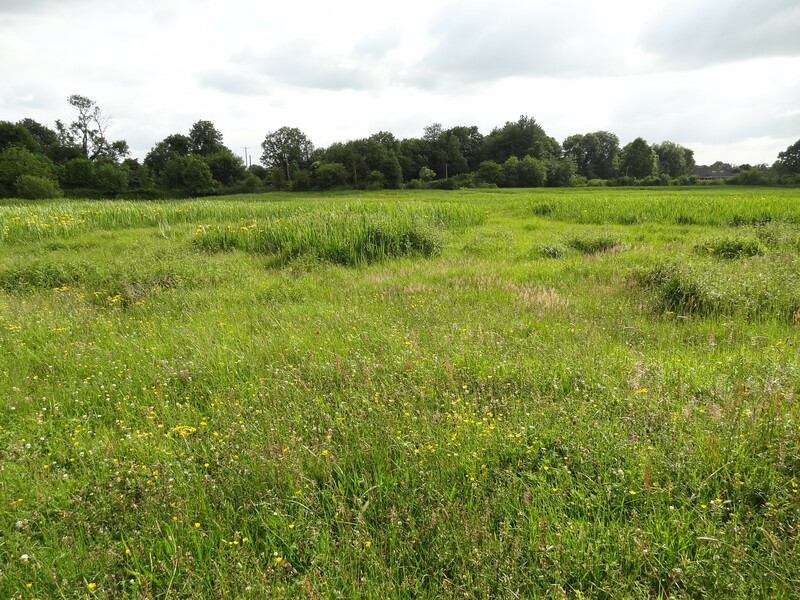 Although there are no comprehensive data for Ireland, abandonment of Molinia meadows was found to be the most significant threat to the conservation of that special type (Habitats Directive Annex I) of wet grassland. Wet grasslands need regular, extensive rather than intensive management to maintain their conservation value. Grazing or hay-cutting prevents the more competitive grasses from dominating and keeps trees and shrubs from invading. 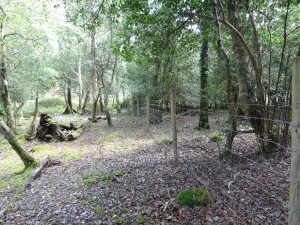 In some situations, it may be a good thing to let a wet pasture revert to woodland. But there are a suite of species that rely on wet, open habitats, including orchids, breeding waders and invertebrates, such as the endangered marsh fritillary butterfly. Abandonment of marginally productive land in Europe is often the result of rural population declines, aging farmers, improved off-farm opportunities, and increased costs in farming marginal lands. The situation in Ireland is exactly the same. Intensification, or agricultural improvement in the form of drainage, fertilisation and weed control, is often the other side of the abandonment coin. Some fields may be abandoned as a result of intensification in other fields when less land is needed to maintain the same levels of productivity. 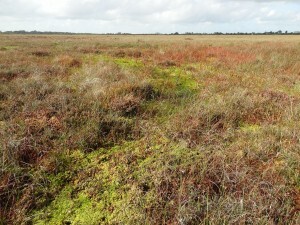 The review found that in many cases, the effects of wet grassland abandonment on biodiversity are apparent in three years. Competitive grasses increase in height and cover and aboveground biomass and litter rapidly accumulate. Tree invasion can happen quickly, or can be delayed for years if dense litter prevents seedling establishment. Smaller species can be quickly eliminated as they lose the competition for light. According to the studies reviewed, the losers frequently include legumes, orchids and fen or meadow species. In general, small, stress-tolerant species decline during abandonment. Natural nutrient enrichment may play a part as biomass formerly removed from a site is instead retained as litter, which eventually breaks down and becomes incorporated into the soil. Although there aren’t any monitoring studies in Ireland that give us detailed data on the biodiversity effects of wet grassland abandonment, the same sorts of changes can be seen across the country. Seed dispersal mechanisms: If a nearby source of colonist species isn’t available or if there are limited opportunities for dispersal via wind, flooding or animals, then introducing lost species through seed sowing or hay-strewing may be required. Soil fertility: Grasslands that have been long-abandoned may be nutrient-enriched. 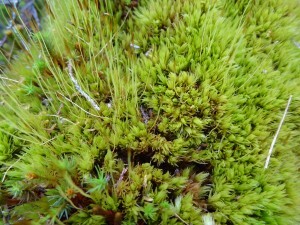 Mowing and removal of cuttings will probably be required. In some extreme cases, topsoil removal may be needed. 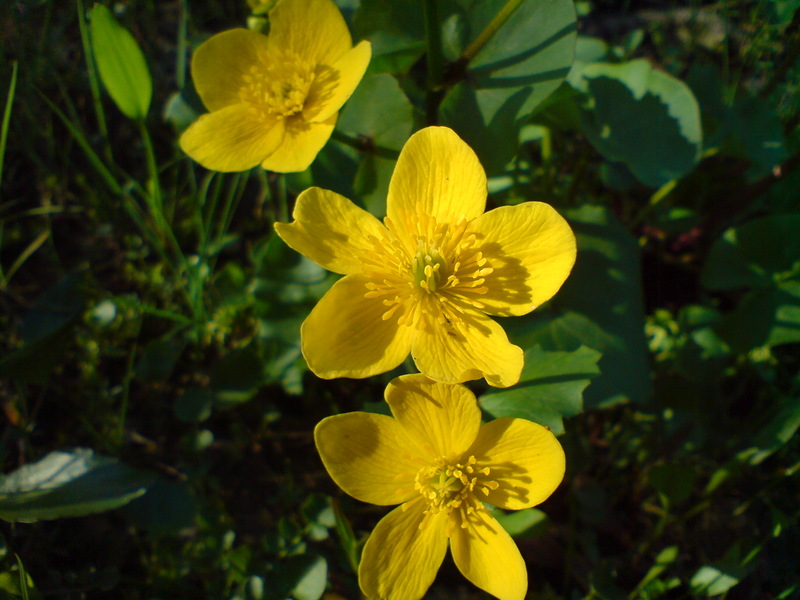 Invasive species: Abandonment and disturbance can lead to invasion by exotic plant species. Sometimes, the disturbance caused by restoration activities can open an ironic window to invasion. In an Irish context, Himalayan balsam and giant hogweed are likely to be two of the worst potential invaders in wet grasslands. 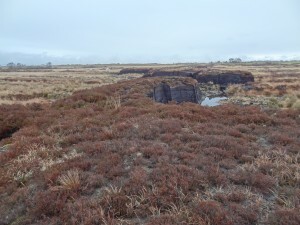 Abandonment of wet grasslands is a significant cause of biodiversity loss in Ireland as well as Europe. 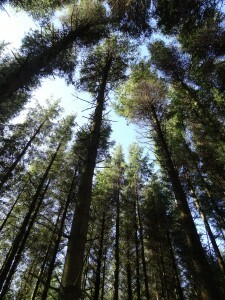 Changing patterns of land-use are largely responsible. 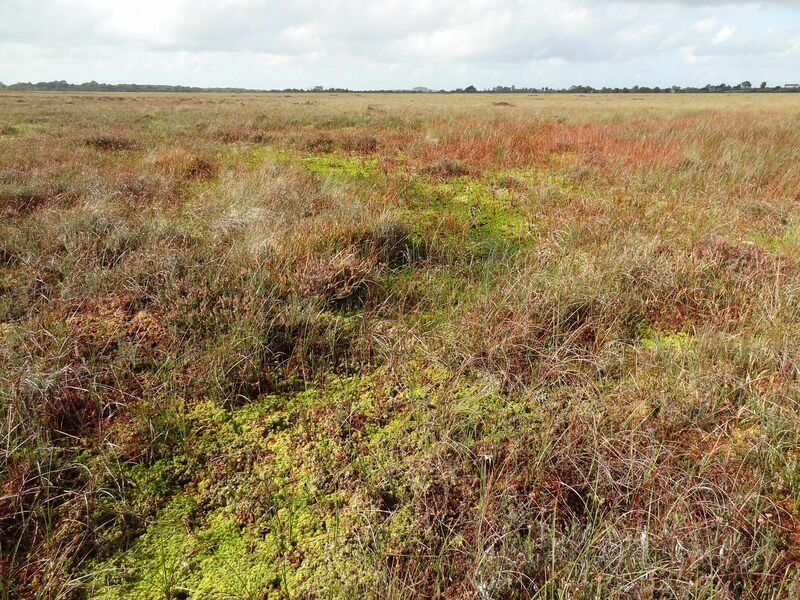 If mechanisms can be found to reverse these changes, such as fit-for-purpose agri-environmental schemes, then it is possible to restore wet grasslands to good conservation status. The Dún na Sí Amenity and Heritage Park in Moate, Co. Westmeath is having its official opening this Friday 20th September from 4.30pm. The park is the final work of a dedicated bunch of local volunteers – the Midlands Amenity Park Association – who have been planning this for years. 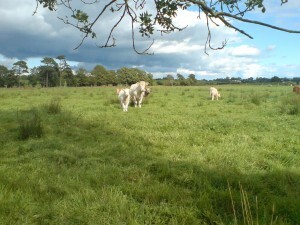 The park has been developed on a bit of former common grazing now owned by Westmeath County Council. It was known as the Cow Park, and it will always be called that by a lot of the locals, though “the Cow Park Park” doesn’t really have that certain ring. You can find out more about the park and the opening on the park’s facebook page. The amenity part of the park is in the middle of the site, bookended by the heritage parts. One of the heritage bookends is the Dún na Sí Heritage Centre, operated by the local branch of Comhaltas Ceoltóirí Éireann. In the Heritage Centre are replicas of megalithic monuments, traditional cottages, a hedge school, and traditional livestock, and céilís are regularly held there. The other bookend is a bit of dampish grassland that looks rather unassuming these days, but is really the jewel in the park’s heritage crown. 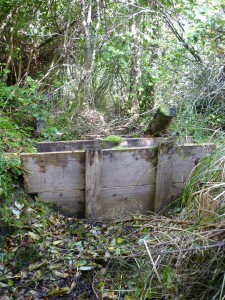 It’s actually a turlough, a special type of transient wetland that is virtually unique to Ireland. 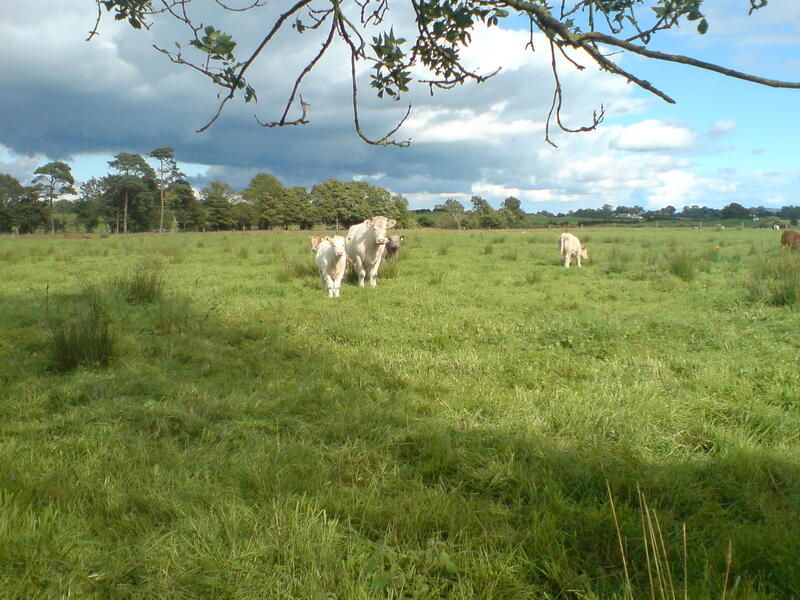 The Cow Park turlough is one of the few to be found east of the Shannon and is the only confirmed example in Westmeath. Turloughs are found in karst limestone landscapes, and their name is usually taken to be from the Irish tur lough meaning “dry lake”. In the summertime they are grasslands, usually grazed by cattle. In some turloughs, there is a permanent pond or wetland in the middle. In the wintertime, when the water table rises, turloughs turn into lakes. They fill quickly – over a matter of hours or days – via hollow, water-filled galleries in the bedrock that open out into one or more discrete swallow-holes. These can be hard to spot when the turlough is dry, and it’s unclear where all the Cow Park turlough’s swallow-holes are. This specific hydrogeological system with its strong seasonality is virtually unique to Ireland (there are reports of a turlough in Wales and some karstic wetlands in Slovenia that are at least very turlough-like). Because of their unusual environmental conditions, they support very special ecosystems rich in plants and invertebrates. 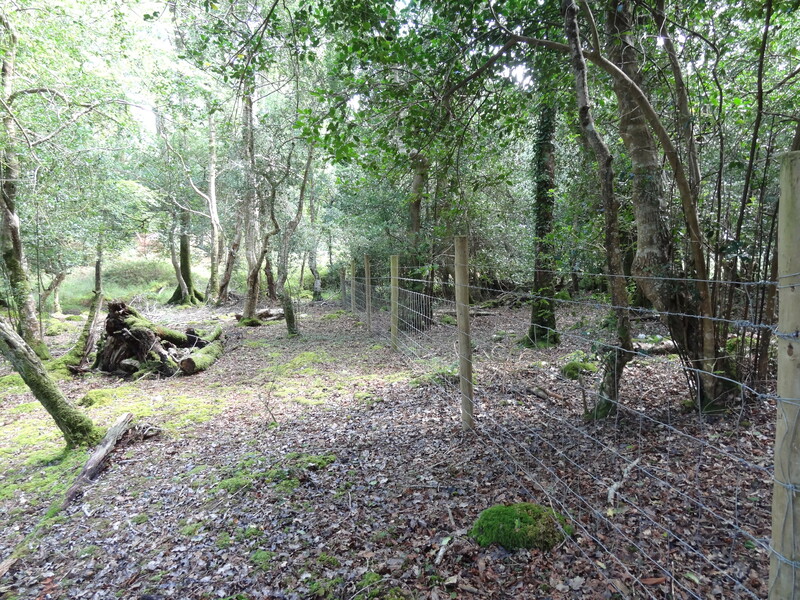 The importance of turloughs to European biodiversity is such that they are recognised as a priority habitat in the EU Habitats Directive. This means that many turloughs are officially designated as Special Areas of Conservation, though not the Cow Park (at least yet). It’s confession time here. My wife is from Moate and I spend a lot of time there. I used to go to the Cow Park years ago when I first moved to Ireland, armed with my (then) new copy of Webb’s An Irish Flora, trying to learn all the (to me) foreign plants. I still have a lot of the plants I collected then pressed in a binder (Veronica scutellata, marsh speedwell, is the prettiest of them). Once I got to know most of the plants in the Cow Park, I moved on to other pastures, and I never returned there for a serious look at the place. I knew it flooded in the winter, but so did a lot of places. I never realised it was a turlough. In my defence, though, I’m in good company. There have been a lot of surveys of the Cow Park carried out by competent botanists before and after me. (I’m not naming names here. You know who you are.) It wasn’t until Faith Wilson surveyed the site in December 2011 for an Appropriate Assessment of the amenity park project that she realised that the vanishing lake is really a turlough. The Cow Park turlough isn’t very big, but it packs a lot in. 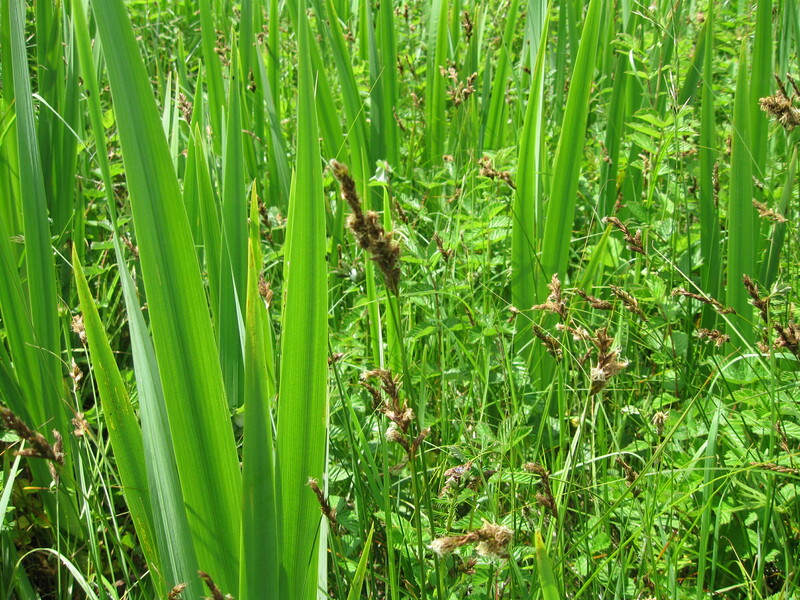 In the centre is an area of rich fen dominated by bog bean (Menyanthes trifoliata), stoneworts (Chara vulgaris) and pondweeds (Potamogeton species). This is usually permanently wet, but with the wonderful summer we’ve had, it’s completely dry now. All the calcium carbonate that has precipitated out as the water evaporated, like limescale in a kettle, gives the vegetation a bleached look. Hopefully it will recover nicely when the autumn rains raise the water table! Around the central fen is a zone dominated by sedges (Carex nigra, C. disticha, C. hirta and others) with water horsetail (Equisetum fluviatile), lesser spearwort (Ranunculus flammula), water mint (Mentha aquatica) and others. 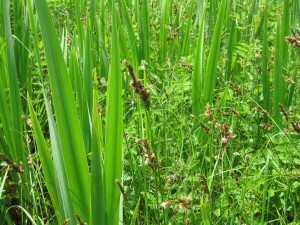 Above this zone are stands of yellow flag (Iris pseudacorus) and species-rich wet grassland. A line of hawthorns (Crataegus monogyna) marks the upper water level. 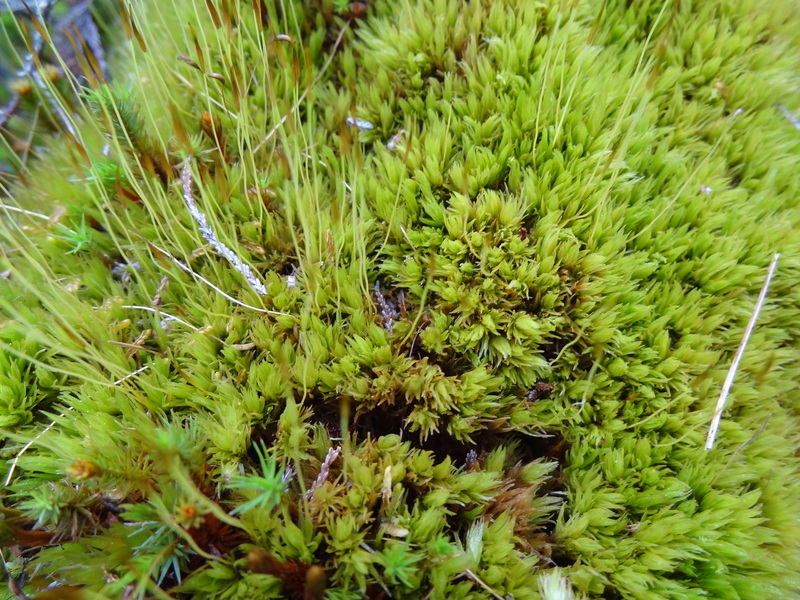 A total of 138 plant species, including stoneworts, mosses and liverworts, have been recorded from the Dún na Sí Amenity and Heritage Park site over different surveys, including my own. The development of the park adjacent to such a valuable and sensitive ecosystem has meant a lot of challenges and compromises. I have been advising the Midlands Amenity Park Association strike this balance in creating a local recreational amenity while at the same time safeguarding and taking advantage of the natural heritage. 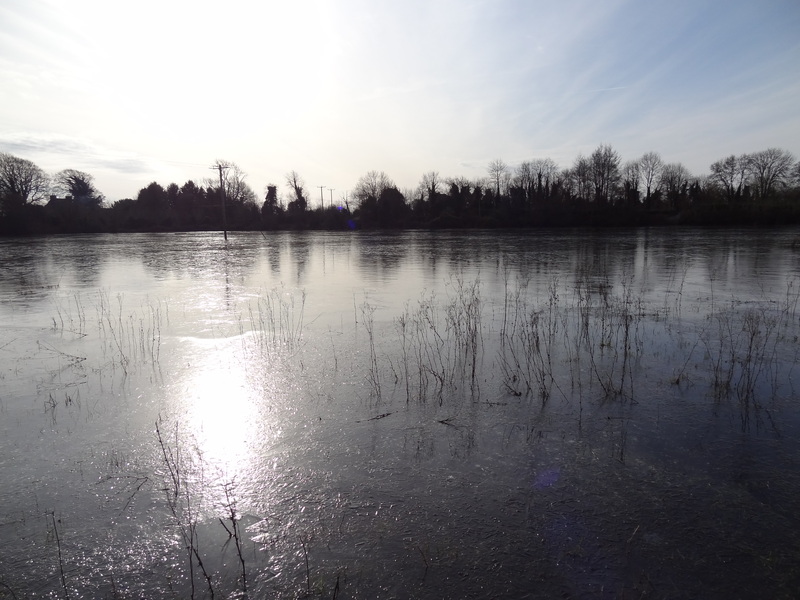 For example, it was originally planned to excavate a permanent duck pond where it floods in winter. The discovery of the turlough put an end to that idea! A smaller pond was decided on instead, and some balancing between ecology and access was needed to determine where to place it. Mark Boyle of Murray & Associates has been very flexible with the landscape and planting plans, and I’ve been helping advise on what species are suitable to plant and where. 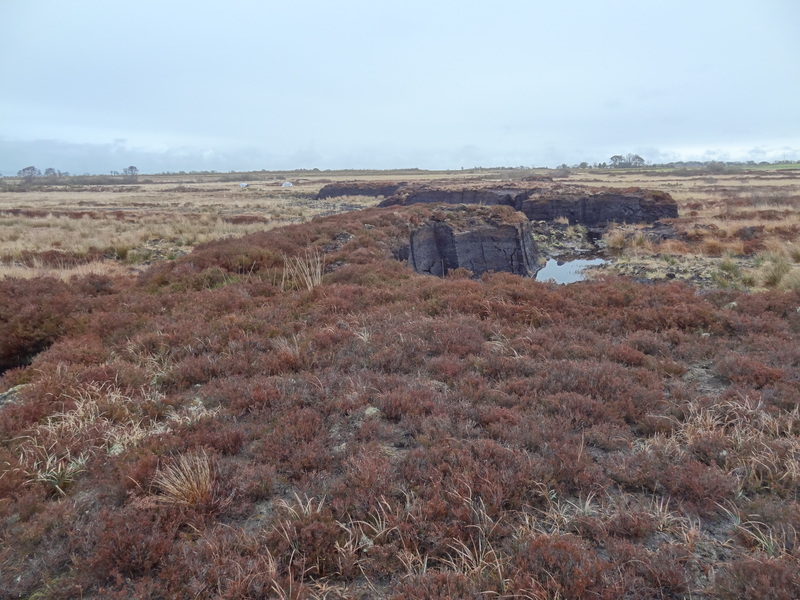 Now that the turlough is no longer grazed by horses as it used to be, a long term management plan is being drawn up to maintain the biodiversity of the site. Please do come along on Friday if you’re in the area, and see the new Dún na Sí Amenity and Heritage Park with its beautiful turlough yourself. I’ll be there to help show people around and to explain what a fantastic piece of natural heritage they have on their doorstep.